This elegant, rich eye catching tea wooden chest is made from solid wood with felt lining outside inside. Clear arcylic glass window let the inside tea bags show customer much more easily. Every compartment we put a piece of wood to let tea bags have an angle to show customer's logo. We also printed customer's logo on the clear window. Outside the bottom we put the black felt to avoid any scratches on the table. 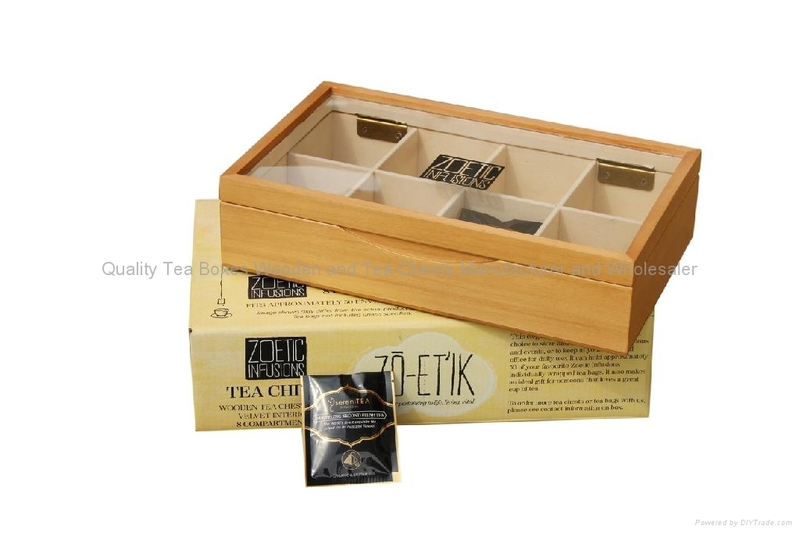 To meet with highscale of the tea chest, we pack it with colorful paper box per piece. 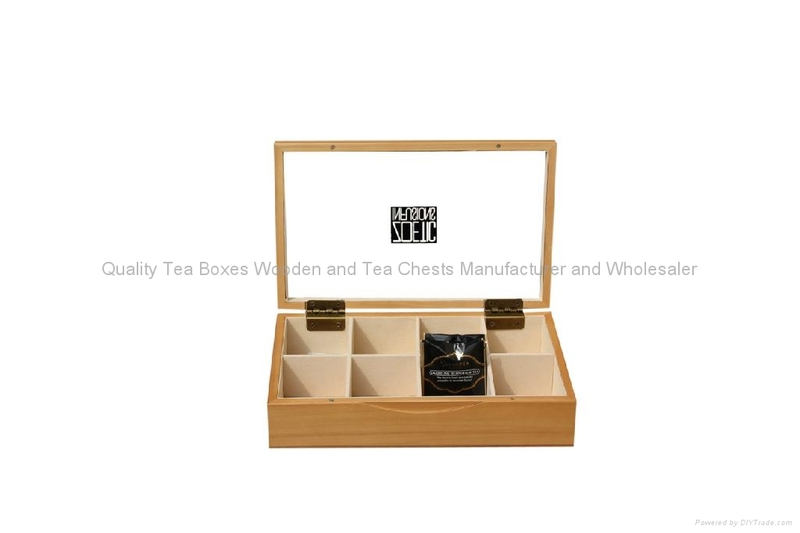 We take great pride in manufacturing the highest quality, custom made tea wooden chest and wooden tea chests for each and every customer. We have the skilled workforce and expertise required to meet any and all of your wooden box needs.